This December Snowmass Base Village, located nine miles from Aspen, will celebrate the grand opening and completion of a $600 million development project. As part of its new offerings, the mountain community will debut the new Limelight Hotel and Residences, Lumin residences and a new public plaza with a community-wide grand opening on Saturday, Dec. 15. 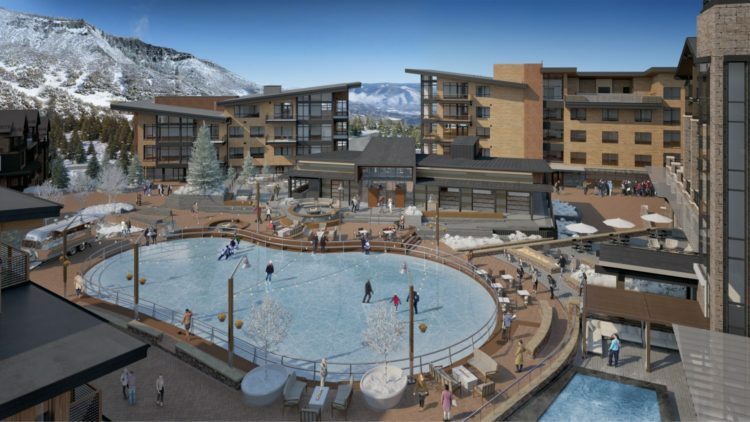 The new 99-room Limelight Hotel will serve as the site for Snowmass Mountain Club, a private club with members parking, a ski valet, lockers, a lounge area and social programming. The hotel will feature a rock-realistic, five-story climbing wall which will be open to the public, along with a fitness center, kids’ room and outdoor spas and deck. Reservations are currently being accepted for Jan. 2019. For those looking to make Snowmass home, the Limelight Hotel has a small collection of 11 residences, with only five remaining for sale. With two- and three-bedroom floor plans, the residences offer stellar views of the slopes and plaza. 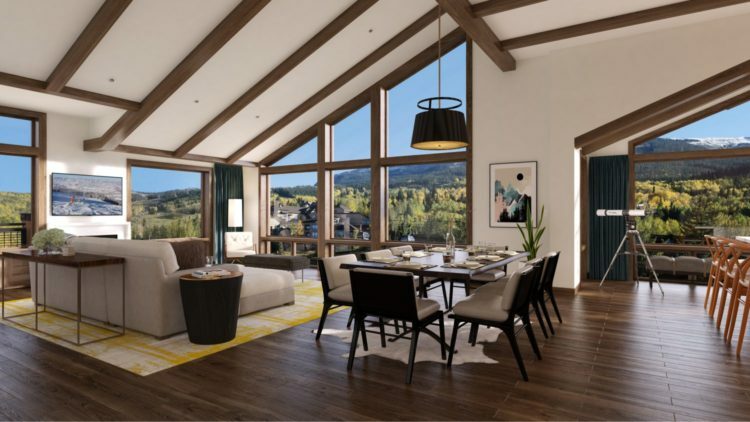 Lumin is another residential offering that will open this winter, featuring three penthouse residences with access to Elk Camp Gondola and offering views of Snowmass’ Mt. Daly. A new public plaza, located just outside Limelight and Lumin, will be a new gathering spot offering plenty of activities. There will be an ice-skating rink that will double as an events lawn in the summer with views of the glass-enclosed, year-round climbing walls. The space will also be usable for concerts and outdoor events, with fire pits and pop-up fountains. Guests will be able to enjoy new dining options, including a Crepe Shack, a pop-up bar and a pizza lounge at Limelight. “Snowmass consistently ranks as one of the best ski areas in the world, and we are excited and proud to add a new base village to the visitor experience this winter,” said Mike Kaplan, CEO of ASC. “The addition of the Limelight Hotel and the public plaza, as well as new on-mountain projects like the Lost Forest is going to be transformational to Snowmass as a destination. 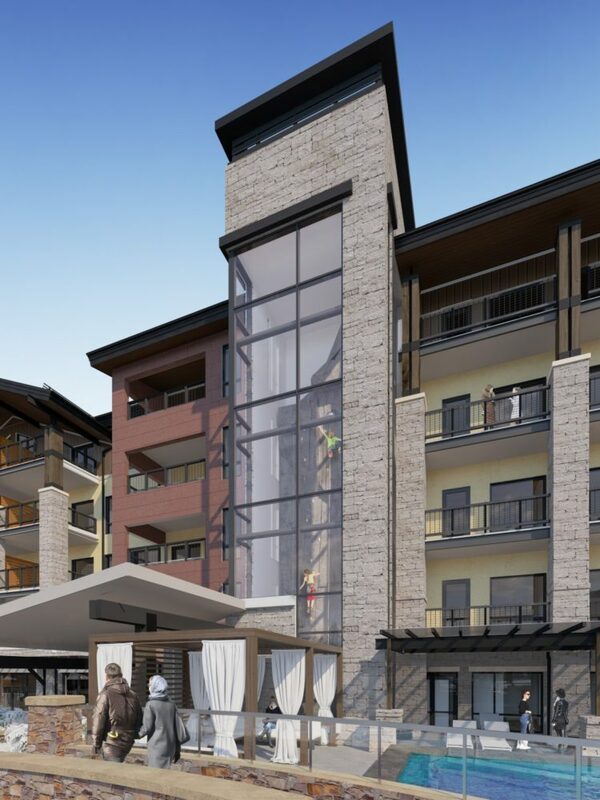 I believe the hub of local mountain culture is shifting to Snowmass.” The new plaza and Limelight Hotel will complement existing amenities including ASC’s adjacent Treehouse Kids’ Adventure Center and the Snowmass Village Mall. Future plans for 2019 include the opening of two more restaurants, plus One Snowmass, featuring 41 residences plus a restaurant, commercial space and medical center.